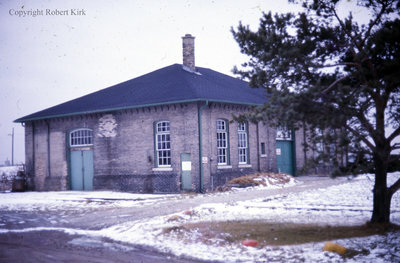 A colour photograph of Whitby's original pump house in winter. View is of the side of the building. Waterworks Pump House, 1977, Robert Kirk. Whitby Archives D2013_011_004.